sticky fingers and juice on it... lol. (who'd want to have those photos in publication?!?! eek!). 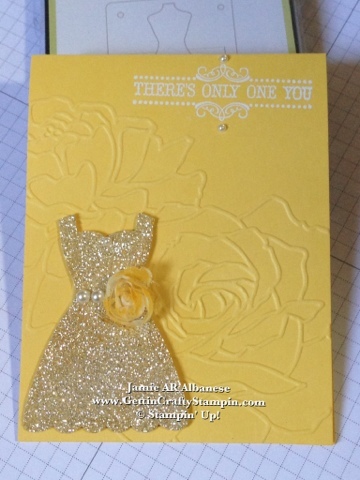 Our Over the Rainbow card class was a BLAST! 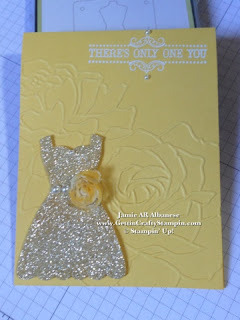 THIS card was such fun to create! 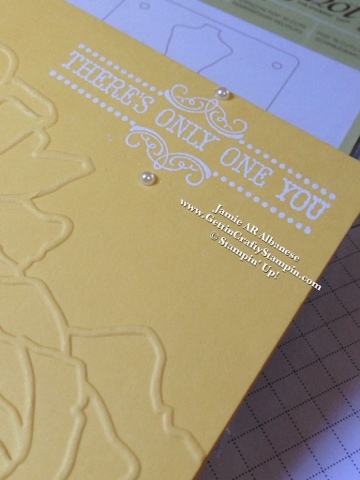 Utilizing the Big Shot (a Must-Have tool for ANY crafter!) 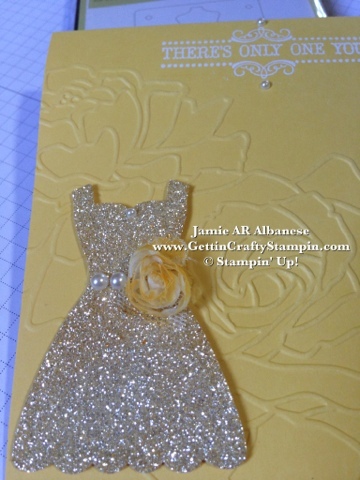 and the Manhattan Flower Folder (Idea Book & Catalog) this rose textured card comes to life! This NEW and Stunning Vanilla 5/8" Flower Trim (Spring Mini) has 2 FULL and Loaded yards of Vintage dimensional flowers on strips of tulle!! 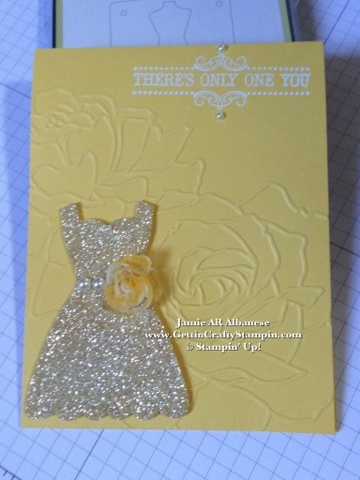 This Video (below) has one of the many ways to color in the flower and BAM it is now matching the rest of the card!!! Where would YOU wear a dress like this?!?! Grab YOUR Free Sale~A~Bration item BEFORE they are GONE (THIS WEEK!! ~ Eeek!). They are unlimited and you can select one for every $50 purchase you make! See This Video on how to color this paper and flower... and HAVE Fun when YOU try it! Just think... You can modify this Glimmer paper to match ANY of your card stock!! Awesome!!!! Leave me a comment and let me know what YOU create!! So pretty, I have not even opened the packages of that paper yet.